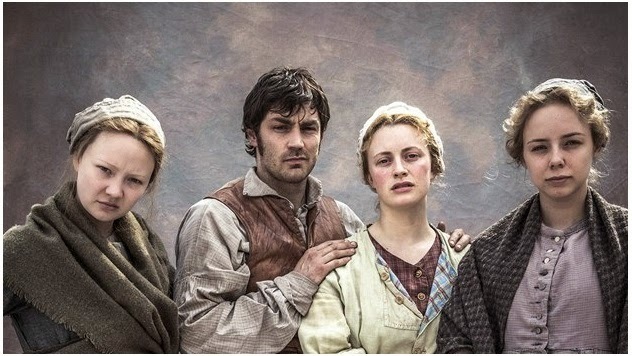 Beside BBC's marvellous historical series THE VILLAGE, another absolutely brilliant British TV series of great depth and profound quality is THE MILL which is currently airing its second season over at Channel 4! 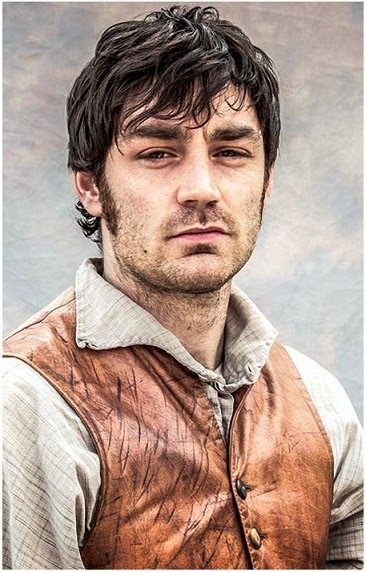 In the first season (doesn't take much time to watch since it was shot only in four one hour episodes) THE MILL, which deals with the labourers in the early 19th century England, had introduced us with the toils and sufferings of impoverished workers sweating their days in the first factories at the beginnings of the Industrial revolution. Beside exposing themselves to great dangers working on relatively primitive machines, the workers also had to deal with 12 hour (or longer) working time with no breaks, feeding on rotten porridge with Sunday being their only free day (half of which they had to spend in the church). We've also seen their efforts in organizing strikes and in fighting for their rights against their employers who kept them almost as slaves (either by keeping them away from their families and even hiding their birth certificates from them, or by forcing them to work mercilessly for poor food, shameful accommodation and not much else). 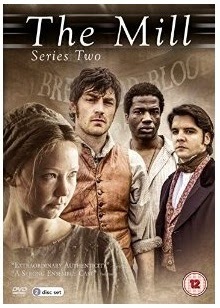 The second season brings new storylines and some new characters set four years after the first season of THE MILL which tells the story of life in Quarry Bank Mill in Cheshire during the 1830s through the eyes of central characters, Esther Price (outstandingly brilliant Kerrie Hayes), a young millworker who risks her own position to bravely stand up for justice (often provoking both tears and laughs from the viewers), and Daniel Bate (charismatic Matthew McNulty), a progressive young engineer with a troubled past. 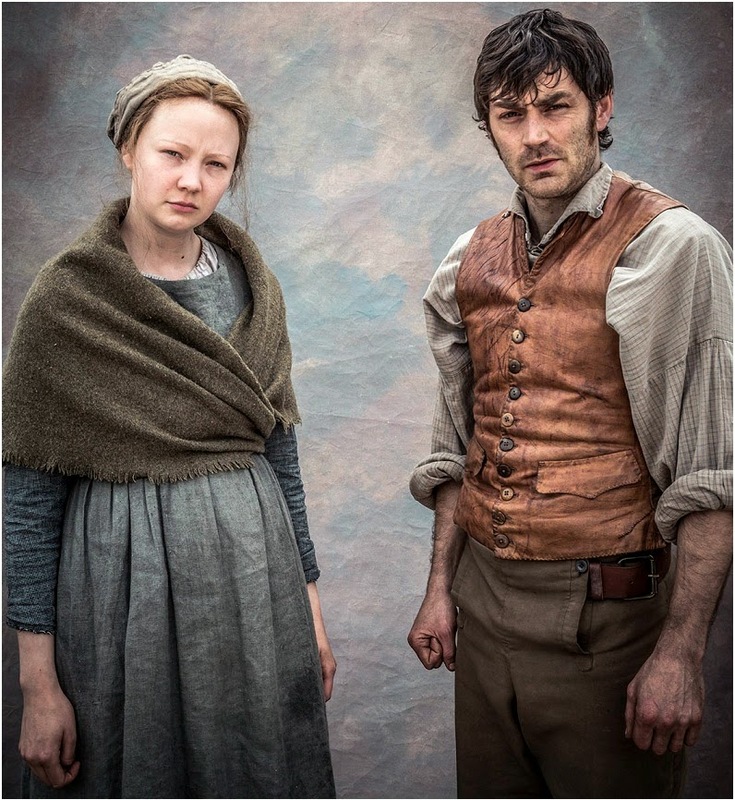 Based on the extensive historical archive of Quarry Bank Mill in Cheshire and real people's lives, this powerful drama series depicts Britain at a time when the industrial revolution is changing the country beyond recognition. The series deals with themes of worker's rights, safety in millwork, child labour laws and the political movement to improve these conditions. 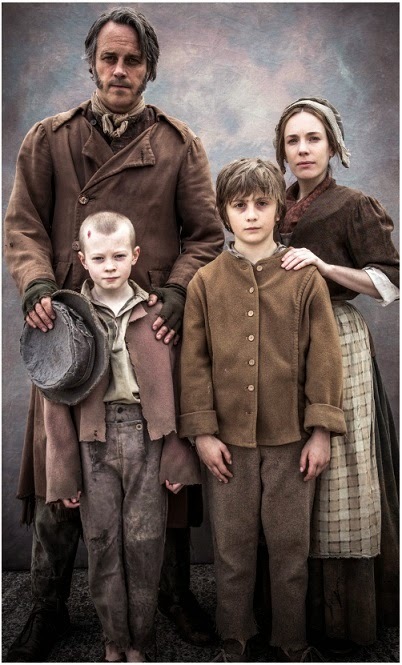 The second seasons also introduces whole families who are forced to work in THE MILL after losing their farms and all ways of earning a living. They toil in the mill with their children who spend their childhoods as workers and are aware that, as horrid as they are, the savage conditions in the workshop are still better than letting their kids die from hunger in the streets. Very authentic costumes. It seems like it might be fun to get to act out a different time. You'd definitely appreciate modern life when you got back to your hotel each night! Yes, William Blake didn't call England's factories "dark Satanic mills" for nothing. And you're right -- those conditions still blight the world today, only now in Asia and the third world. Looks good, love the costumes! The show is a good way for the younger generation to get a better idea of what life was really like for these people. Hopefully they can appreciate all that they went through to make life better for others. it is interesting that the popularity of the series in UK is due to a huge number of young viewers... they can learn a lot from it.... and appreciate more as you said... 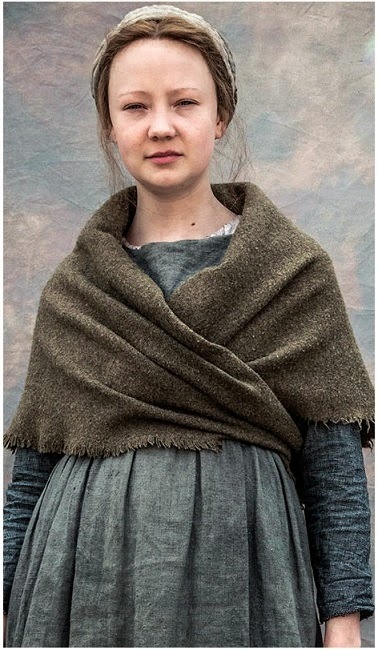 There was a scene in which they shave off the hair from Easther only because she wanted to find her birth certificate so that she could prove she is 17 and not 15 (they have to pay you some money when you're 17). The story of the industrial slaves sounds a lot like Grapes of Wrath. It should be a real eye opener for those who don't know what life was like back then. All I know is that I'm glad I don't live in that era. 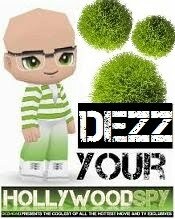 How's life, Dezzy? So true. And progressive too. I love that it's based on what really happened. We need to be reminded about how awful people can be to each other. Hopefully to be speak up when we see it these days. What do you mean... probably? Dezmond, why have i never seen this? You keep coming up with amazing series that I've either never heard of or never seen. I think you should be the next Barry Norman. I need to stay in more. Isn't she wonderfully adorable, Dezzmeister? I've come to the rescue. Where? HERE! Well.....*She sighs, the longest and hardest sigh that you ever heard in your life* ('cept you can't hear me...maybe you can feel the gust.) My lovely Blue to the rescue! Well, Dezzmond, you are not in my spam, so I don't know what is going on. I've had so many problems with this. Could you kindly give me the minute detail on what is happening so I can see if I can fix it? No problems, just didn't want you to think that I didn't return comments at your place :) I did comment a few times but my comments don't get published for some reason. I think it has something to do with the link to our own blog that we need to fill in. I just typed www.bluegrumpster.blogspot.com and my comment diappeared. I think www doesn't cut it. I SHALL try again. First I thought it had something to do with adding http:// but that’s not it. In fact, your blog accepts both http://www or just http:// followed by the name of the blog without www.